Do you feel overwhelmed with the idea of starting your vlog? It’s a Vlog, with a V! It’s easy to feel overwhelmed when you’re just starting out. We all want our videos to look good, but here’s the good news. You probably already have everything you need to get started with making really cool videos at home. The first and most important thing you need to make good videos is good content, Yes, content is still the king. People want to learn and they want to learn from you, so teach them something valuable. The second thing you need is a good script. Invest some time in writing a script. A good script takes your audience on a journey from identifying a problem they have to solving the problem for them. Having a script saves you a ton of editing time, it ensures that your message is clear and concise and your audience is more likely to come back and watch more of your videos if you keep them engaged. The 3rd thing you need is good audio. People will forgive you if you don’t have fresh flowers in the background or if you forgot to apply lipstick that day, what they won’t tolerate is not being able to hear you. You can use the built-in mic on your headphones very effectively if you are on a tight budget. The important thing is that you use what you have right now. Don’t let a lack of fancy microphones hold you back from getting started. When you are ready to step up your audio, get a lavalier lapel mic like this one. It plugs straight into your phone and you are ready role! You can get a fancy Rode Lavalier for about $80 on Amazon or the Movo Lavalier for $18 works just as well. The next thing you need is a smart phone. iPhone or Android it doesn’t matter which. I’ve heard it said that Android phones have better cameras than iPhones, but who wants and android when you can have an apple! Seriously! And last but not least, you need a tripod or some kind of contraption that will keep your phone still. When I made my first video my phone balanced on top of my computer which balanced on top of 3 Tony Robins books, which balanced on top of a footstool which balanced on top of my baby’s change table. Yeah, any contraption that prevents your phone from shaking will do. Or buy a tripod with an iPhone holder like the one that I have for $12 on Amazon. Now this is where you should listen up! Here are the 3 things you don’t need before you start making your vlogs. 1. All the confidence in the world! You will feel scared, self-conscious, uncomfortable and afraid. You’re stepping out of your comfort zone you should be afraid. If you’re not afraid you don’t care enough. Do it scared! Do it despite your fear. Take on this mantra “I can’t, therefore, I must” Then do it again and again and again and again until you start feeling more comfortable. 2. You don’t need a website. 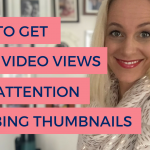 If you have one – Awesome, if you don’t, start making videos and build your ‘Know, Like and Trust’ factor on social media now. Livestream and video are exploding on social media right now. Don’t wait until you have the perfect website to start cashing in! 3. The third thing you don’t need is fancy editing techniques. If you think you do, you’re just procrastinating. I get it; I’ve been there, now snap out of it! If you have good content and you are well prepared, people will listen to your message. So there you have it. 5 Things you need to start a vlog and 3 things you don’t. To help you get started, I’ve created a list of my favorite vlogging resources with links to where you can get them. 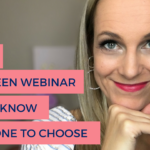 You can click on the link below to get your free list of resources. As always your comments are the highlight of my day so please share your thoughts with me in the comment box below. 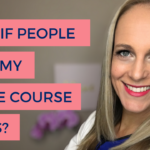 And if you love this video, share it with other entrepreneurs who are ready to shine online! Thanks for this! Super entertaining & very helpful. You are welcome Mary. Thank you for watching! 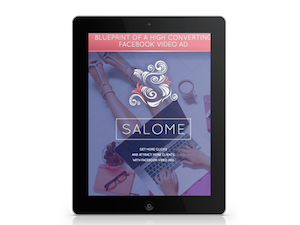 You have great style Salome and your content is especially pertinent and to the point. You shine every time. Love how you embrace your bloopers. They make your vlogs even more fun than they already are. Thank you so much for the kind words Yaja!